Whether you’re starting a new career or taking the next step in your professional journey, a GIA education is considered the pinnacle of training and professional development in gems and jewelry. We teach using the latest research, technology, and time-tested skills, while instilling the importance of professional integrity in our students. A true mark of global distinction, a GIA credential is a symbol of knowledge and trust. Study full-time at a GIA campus to gain the knowledge and practical skills to translate your love for gems and jewelry into a rewarding career. 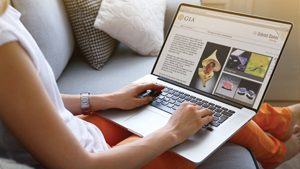 GIA Distance Education helps you earn a gem and jewelry credential and expand your professional knowledge - all without putting your life on hold. Learn via online eLearning courses and hands-on labs classes. 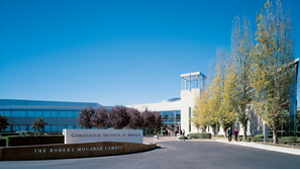 GIA professional development offerings provide opportunities to help further develop your career in the gem and jewelry industry.